It is that time of year again! 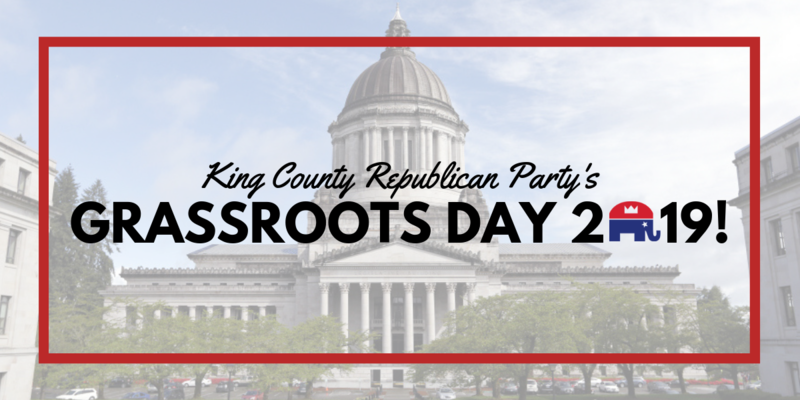 On President’s Day (Monday, February 18th, 2019) we are going to be heading up to Olympia to spend the day at the Capitol Building for our annual Grassroots Day. The day is going to be filled with tours of the Legislative Building, Secretary of State’s Office, and State Treasurer’s Office, a lunch briefing from Republican Legislators, and much more. To purchase tickets, click HERE or visit kcgop.org/grassrootsdaytickets. For any additional information, please contact us at [email protected] or (425) 990-0404.